The smaller and the older lighthouse in Akranes - Iceland. Built in 1918 .Vintage edit with blue tint. 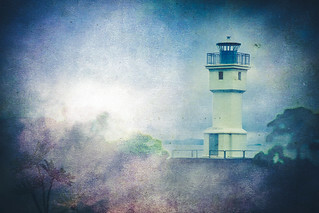 Textured photograph with Photoshop.